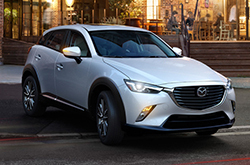 Mazda has done it again; with generous features, upscale style and excellent performance ratings, the 2016 Mazda CX-3 debuts as an outstanding subcompact crossover for the modern Texas driver. An ideal bridge between smaller hatchbacks and larger compact SUVs, the trendy Mazda CX-3 nestles into a new class of crossovers that offer versatility alongside easy handling and exceptional efficiency. Perfect for commuters seeking excellent fuel economy, families in need of extra space and assurance or everyday drivers looking for an advanced ride, the 2016 Mazda CX-3 in Houston is available now and waiting for you! Drivers of the all-new Mazda CX-3 will feel the responsive chassis and capable powertrain from the first press of the pedal. After all, Mazda's innovative SKYACTIV® TECHNOLOGY has shaped the engine, six-speed transmission and architecture for performance. In fact, the Mazda CX-3 offers enough power that Edmunds.com's 2016 Mazda CX-3 review calls the 2.0L four-cylinder one of the strongest in its class. Throw in the available all-wheel drive system and it is clear that the bite-size SUV is ready for whatever adventures may come. The performance doesn't come at the cost of safety or efficiency, though, and buyers will be pleased with the available suite of i-Activesense active features and the impressive EPA-estimated 35 mpg on the highway. Taking a look at the inside of the 2016 Mazda CX-3 in Houston, you'll feel as if you are in another world. While the exterior showcases compact dimensions and tight corners, the interior is a spacious cabin marked by upscale amenities and plenty of comfort. From the base Sport's 60/40 folding rear seat, Bluetooth phone and audio streaming, rearview camera and 7-inch touchscreen to the Grand Touring's sunroof, LED headlights, navigation system and Bose audio system, the Mazda CX-3 provides a versatile cabin that competes with the best of them. Of course, the all-new Mazda CX-3 doesn't skimp on style and drivers will be pleased with the subcompact crossover's dazzling exterior. Marked by the KODO design language, the Mazda CX-3 blends a sleek front-grille, signature lighting, an extended silhouette and sharp dimensions to create a road presence that is bound to turn heads. Looking to learn more? Check out the rest of our 2016 Mazda CX-3 review below to discover specific specs, class comparisons and extra information. Plus, test drive one of our premier new models in Houston to truly experience this subcompact crossover for yourself. 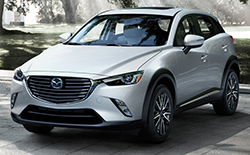 In quite a few areas, the 2016 Honda HR-V, Chevrolet Trax, Fiat 500X and the Jeep Renegade are beat out by the 2016 Mazda CX-3. The Mazda CX-3's leading-edge features and competitive pricing are just a few of the great qualities that shoppers will be smitten with. 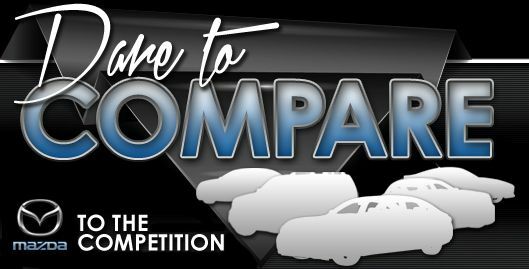 Hundreds of Houston Mazda drivers choose it because it's a fabulous value; just compare its price to the vehicles listed above. Look over our Quick List underneath this text to find out more! Can the competition beat the Mazda? Thanks for choosing Joe Myers Mazda as your resource for 2016 Mazda CX-3 reviews and comparisons. We're a prominent car dealer in Houston for a reason, part of which is that we provide reviews written by well-versed writers who are at the height of their craft. As you read this article, you'll see that it is stuffed with credible information about all the things you're looking for in the new Mazda CX-3 - powertrain options and other specs included. 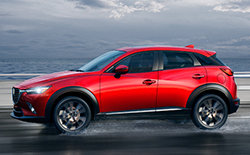 If the Mazda CX-3 isn't a fit for you, please review and compare Mazdas other fantastic vehicles now.